I'm feeling a bit better and because of it I went out Thursday night with Afro Style. My plan was to head to Mila & Fire: Art, Fashion & Photography Expo at Lotus Lounge then later on in the evening, ring in my friend and fellow CapFABB-er Jen's birthday. Instead, majority of my evening was spent at Park for happy hour. AfroStyle and I got to the expo event on time but they were still setting up. Since we didn't want to hang around to see them set up, I decided to take her to Park since she's never been. And luckily, it's just around the corner. 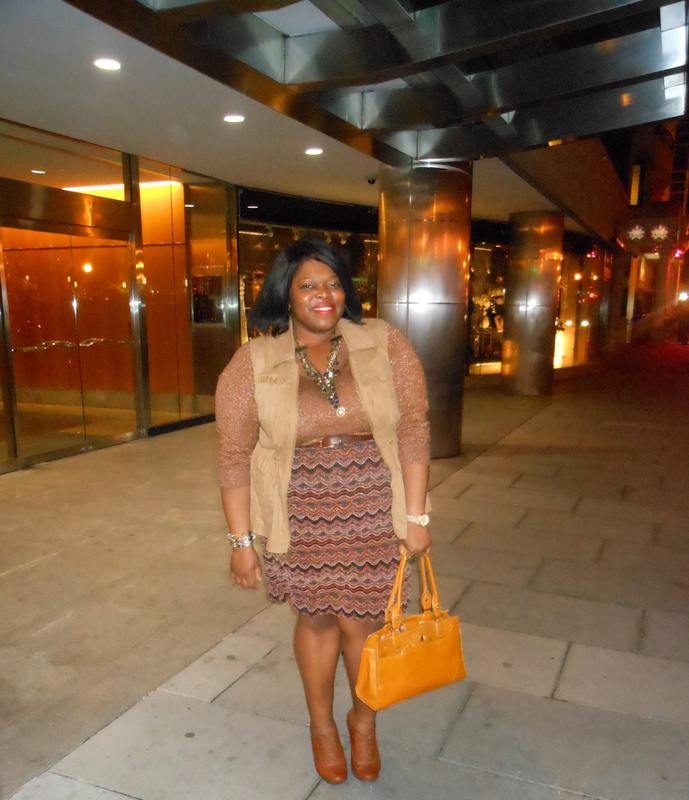 As happy hour was still going around, Afro Style ran into some of her friends and we chilled with them for the night. A pretty good last minute decision. After we were done, we headed back to the Expo. The turnout was great, music was blasting and lots of creativity flowing. But I don't know if it was because of the drinks I had at Park and knowing I had somewhere to be later on that night but we didn't spend too much time there again. Got to my sis place, took a nap...which turned into a deep sleep and I woke up too late to celebrate Jen's birthday. Bummer. 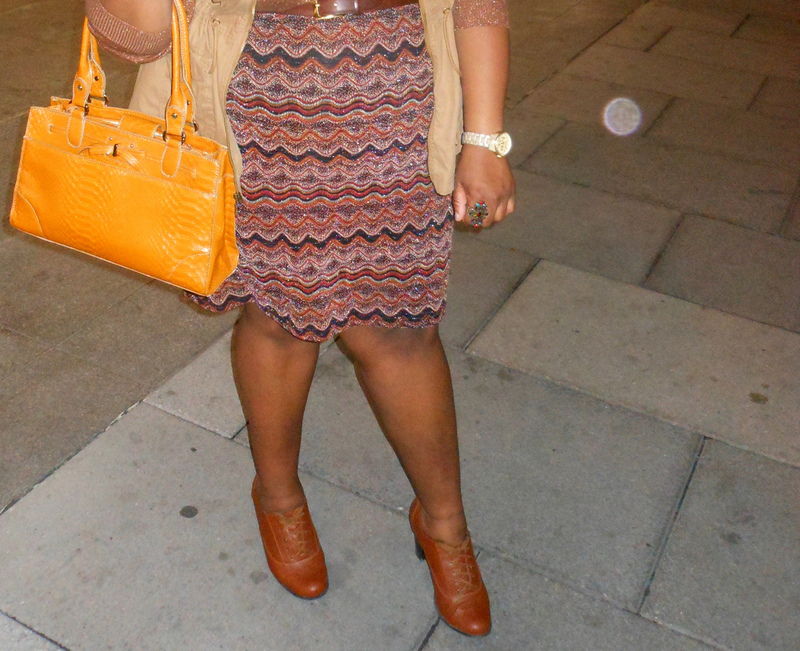 I wore items that you guys have already seen on this blog but never seen them worn together. Aha! Since the top and skirt had a bit of sparkle, sequin and glam going on, I toned down the look with the Old Navy vest and my always-come-in-handy oxford heels. I chose to wear the vintage necklace because it gave my neck area a bit of balance...? I can't explain it but without the necklace, it would've looked too bare up there. Especially since the top blends in so well with my skin tone. I added a punch of color with my stolen borrowed adopted mustard yellow Liz Claiborne bag.